The ritual monsters debuted officially on Magic Ruler on late 2002 along with the world's famous Relinquished, the first Ritual Monsters on the game lacked of effects, so Relinquished was the first ritual effect Monster. After Magic Ruler there wasn't any significative support for ritual until the release of Dark Crisis (2004) introducing some of the first mass destruction ritual effect monsters like Dark Master Zorc or Legendary Flame Llord, also on Dark Crisis we had for the first time a ritual spell card that wasn't for a specific monster (Contract with the abyss). 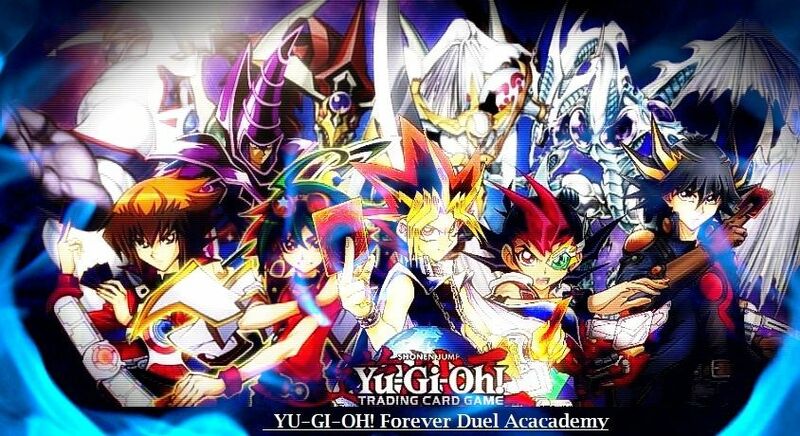 Despite of this releases, ritual summoning wasn't causing any impact on the game until 2006 and 2007, in that dates was released Shadow of Infinity and Strike of Neos, these Booster packs brought out Demise, King of Armageddon and the commonly used Advance Ritual Art, combined they made possible a deck that was the cause of the Advance Ritual Art's restriction. Three years later, there was another attempt to revitalize ritual monsters on Absolute Powerforce and Stardust Overdrive. This booster had massive support for ritual monsters for the first time. In ABPF we had Garlandolf, King of Destruction, a powerful new mass destruction ritual monster and in SOVR came out his counterpart: Divine Grace - Northwemko. Along the ritual goddess were released the Djinn archtype for providing ritual monsters summoned by offering them as a tribute for the ritual summon a wide pool of many useful effects, recently one of them was banned for it's use along the Nekroz, in addition to this there was many support spells, traps and effect monsters (Ritual Cage and some others). In 2010 on The Shining Darkness appeared one of most tough ritual monster that exists: Herald of Perfection; however it's useful effect is almost limited to fairy-type decks. After this, in recent times we could saw the first two entirely ritual-based archtypes: Gishki and Nekroz. History tell us that most powerful ritual monsters are Dark, Light or even Fire attribute, despite all of this these two archtypes are entirely Water-attribute monsters that performs their ritual summons by using a wide variety of ritual spell cards, this brought a new era for ritual monsters because before this every ritual monsters in the game has it's specific ritual spell card, even if there are some wildcards to ritual summon almost any monster. Ritual summon is essentially a hybrid summon style that combines Tribute Summon and a generic Special Summon, to perform a ritual summon properly isn't necessary that tribute monsters are on the field, the required tribute monsters can be also in your hand, recently some ritual spell card began to use the graveyard in many forms in order to perform a ritual summon (Nekroz Mirror and Nekroz Cycle). To perform a ritual summon basically we tribute monsters, so it's a good idea powering your ritual-based deck with some monsters that activates effects as being tributed like Hieratics or even some of the Qliphort. Since their introduction on TCG almost all ritual spells allows surpasing the level depicted on the ritual monster, however more recent ritual spell cards demands you to be accurate with the level required and also restricts the use of monsters that equalizes the level of the summoning monster, the Nekroz ritual spell cards works this way. In order to counter ritual monsters a player must essentially attack spell cards and tributes, this are commonly their weak spots, so any cards that disrupts spell cards will work (Spell Canceller, Naturia Beast, The Secret Village of Spellcasters, Sky Scourge Invicil, Cursed Seal of the Forbidden Spell, Magic Jammer, Spell Vanishing, Dark Bribe and much more), cards to counter special summons are highly reccomended too. Since ritual summon is basically a tribute monsters, Mask of Restrict also works fairly good to prevent almost any opponent's action.